The Prime Minister’s statement on national television that there will be a ban on vegetable imports from 5 May has now been considerably modified. As per the latest reports, the Royal Monetary Authority (RMA) will be withholding rupee for vegetable imports from 19 May, 2012. 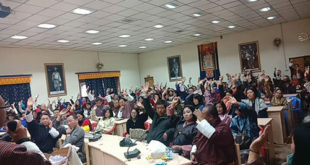 In the meantime, the Department of Agriculture and Marketing Cooperatives (DAMC) and the Food Corporation of Bhutan (FCB) have proposed to the Ministry of Agriculture and Forest (MoAF) that Nu 1.3 mn be made available to the FCB on a weekly basis for the six commodities to be imported at the Centenary Farmer’s Market (CFM) in Thimphu. The six commodities are tomatoes, garlic, onions, bitter gourd, assorted fruits, and lady fingers all of which cannot be sufficiently produced in the country. This will mean that at least in Thimphu from 19 May onwards, these essential items will be available along with other locally available vegetables. 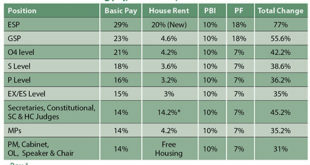 There are also other measures being taken. According to DAMC, 23 farmers’ groups are being formed in three dzongkhags: Tsirang, Punakha, and Wangdue to supply vegetables. The department has already collected the farmers’ details. Accordingly, the producers will plan in groups on how to meet the targets for vegetable supply in the market as per the production plan drawn by Department of Agriculture (DoA). This also includes the Punatsangchu Hydro Power Authority (PHPA). Currently, only the Thimphu CFM is being accorded priority as of now owing to the huge population and market in Thimphu. However, markets in other districts are also being monitored and similar mechanisms will be replicated in other dzongkhags. There is no information however on how essential vegetables will reach other dzongkhags’ markets apart from CFM in Thimphu once RMA freezes the rupee supply to import vegetables. Given all this confusion, the proposal put up by the DAMC and FCB to the ministry has been returned asking for more modifications. The agencies have also been asked to look at the import of other essential items like rice and sugar. Both agencies have also been asked to assess the capacity of FCB and if the government can fill up gaps in terms of infrastructure like outlets and storage facilities. DAMC officials say that they have already met with the importers and the vendors of the CFM who have already been alerted on the INR crunch. The DAMC will be working on the supply networks, the accessibility, transportation, and packaging among others. The DoA who is looking at the production and marketing aspects has identified areas of long term intervention. For instance, the southern belt suffers from two major constraints which are irrigation problem and stray cattle in the fields after the harvest. “If we don’t do anything about it then farmers get discouraged and therefore cultivation in the winter season is not seen as a likely option,” said the Chief Horticulture Officer, DoA, Kinlay Tshering. The other area the DoA is looking at is enhancing the productivity and activity. 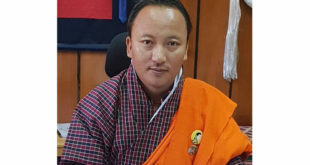 Kinlay Tshering said that the vegetables grown during the summer are being targeted at higher altitude areas and for the winter, the DoA is targeting lower altitudes areas like Samdrup Jongkhar, Samtse, and Sarpang. She added that where there is assured irrigation, the DoA will be going ahead for production on a commercial scale. The DoA is also looking at promoting the green house technology at the mid and high- altitude areas on specific commodities like tomatoes to lengthen the production season and intensify production. The DoA also plans on producing quality plant nurseries. There is still however no sign on how the above measure will ensure that all Bhutanese markets will have adequate vegetables after the RMA rupee restriction comes into play on 19 May. this is land of GNH anything is a possibility. Tomorrow they will say eat that rice, not this one as it’ll cause rupee crisis. rupee crisis my foot. Yes, we need to take measure but this is certainly not the way n not certainly on what rice n vegetables we eat. What is this govt doing? By giving import licence to FCB, it’ll monopolize the market, n poor will suffer. only god knows wat else is stored. Ban on import of vegetables…ohhh hoooo….I hope price of vegetables will not shoot up much, otherwise how can low/middle income people can survive when food is necessary for survival. I think its a right step towards stabilizing the skyrocketing prices of vegetables. 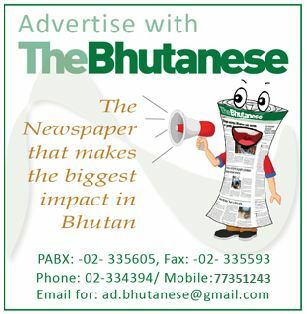 FCB has a social mandate to fulfill by offering products to general masses at the most affordable prices.This move is the best opportunity for FCB to prove that they are committed towards providing the best products at the most reasonable price to the public and win back the confidence of Bhutanese people. Another “wise” decision !!!!!! sometimes ban this another time ban that !!!! and other times blame civil servants for draining INR through vehicle quota. Best would be to do away with everything….The vegetable business men were doing fine until now ….Now all of a sudden the government controlled Corporation wants to step in…after 3 years …..may be we will see couple of them labeled with corruption and may land somewhere ??? ?….Government trying to do vegetable business……God knows where we are heading ???? Is it not possible to make sound, well researched and informed decision ???? ?